This year has been amazing for me, and one of the highlights of my year is my six-month trip to the US. Spending half a year in a country thousands of miles away from home proved to be a scary thought at first, but being the wanderlust that I am, I took the challenge with arms wide open. Besides, my trip to the States was for my cousin’s wedding, so the trip was like hitting two birds with one stone. Although the wedding took place in New York City, I was able to travel for a short while to Washington, D.C. near the end of my trip. On my way back from Washington to NYC, I decided to meet up with an old friend who was based in Philadelphia for some much-needed catching up. 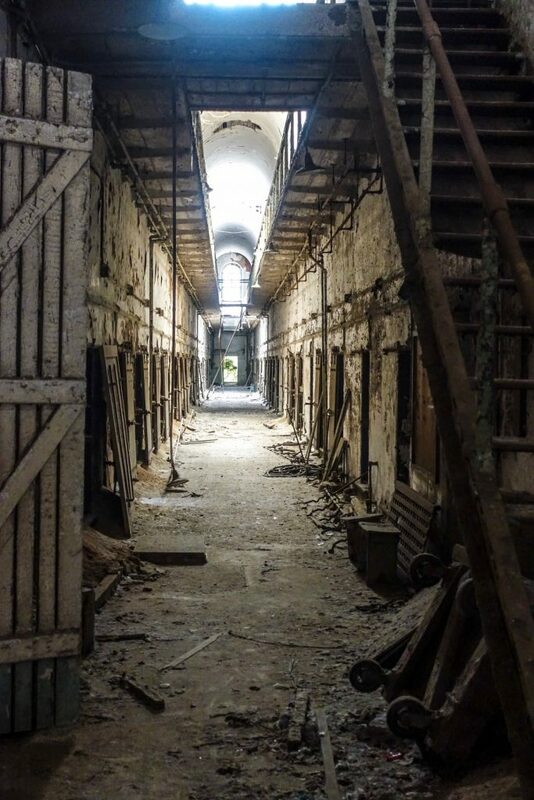 Since I was already there (I think I was in Philly from October 4-7), I decided to do something in the spur-of-the-moment – tour Eastern State Penitentiary (ESP), an abandoned prison in the middle of Philadelphia. I went there alone since my companions had to work, but I would say it was worth it. I fell in love with the place, which looked like a castle on the outside. The architecture was astounding. 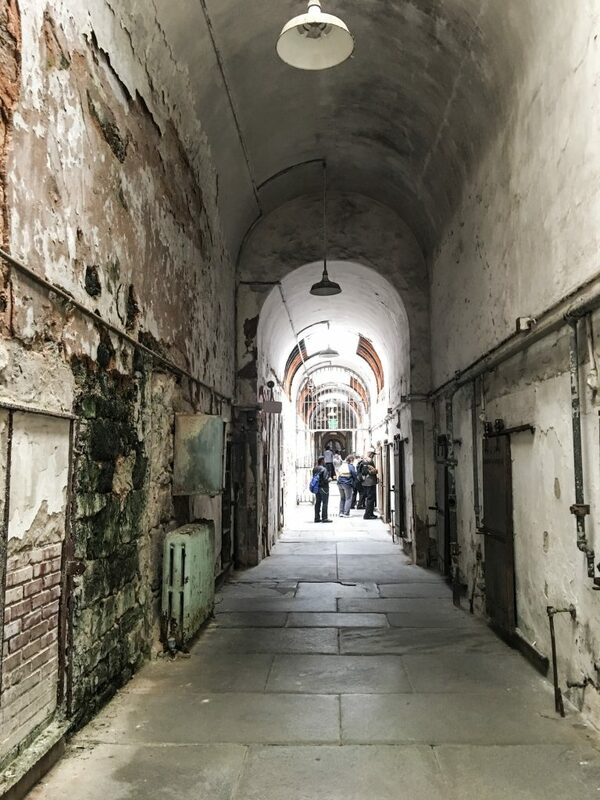 I had a Philadelphia Trip guide, but I would have to say that my solo trip to the Eastern State Penitentiary was my hands down favorite. Since I didn’t plan ahead, I missed the start of the audio-guided tour, which was narrated by no less than “Reservoir Dogs” actor Steve Buscemi. Basically, I set out on my own. Still, there were bits and pieces I picked up, and there happened to be another tour that was starting, so I listened in on the information being given, and I learned a lot. Anyway, ESP is a lot like Alcatraz, the secluded prison in San Francisco where they say escape is impossible. 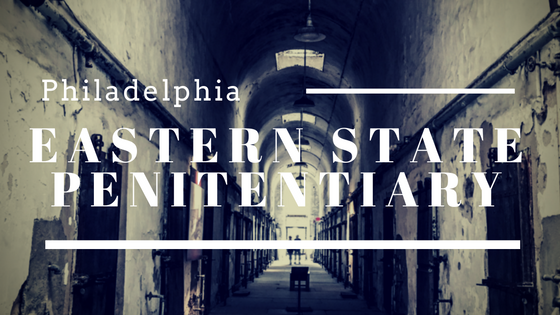 Easter State Penitentiary was operational from 1829 to 1971 and is said to have revolutionized the system of incarceration in the United States. In what way? Well, it’s quite common for prisoners in America to share cells with other inmates, work together silently, or be subject to physical punishment. Not ESP, though. 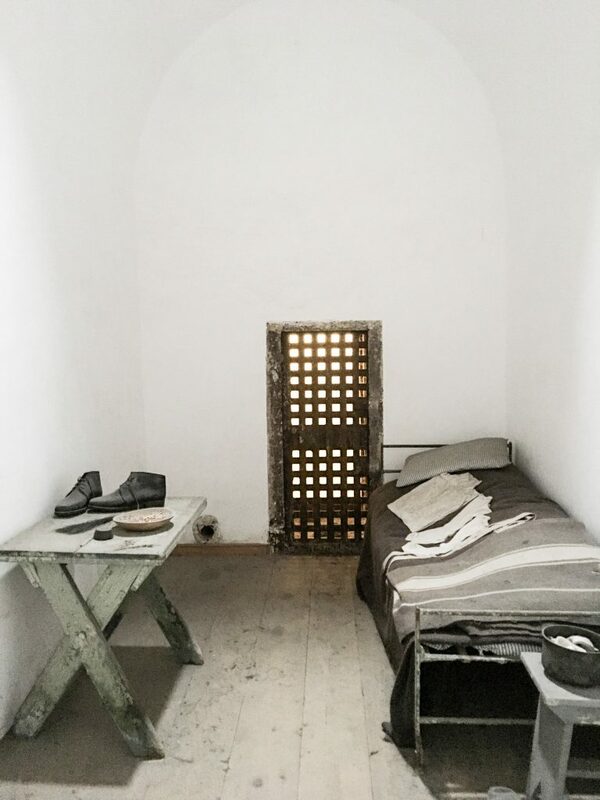 Each prisoner had his own cell – solitary confinement, if you may – where spiritual reflection and reform were encouraged. 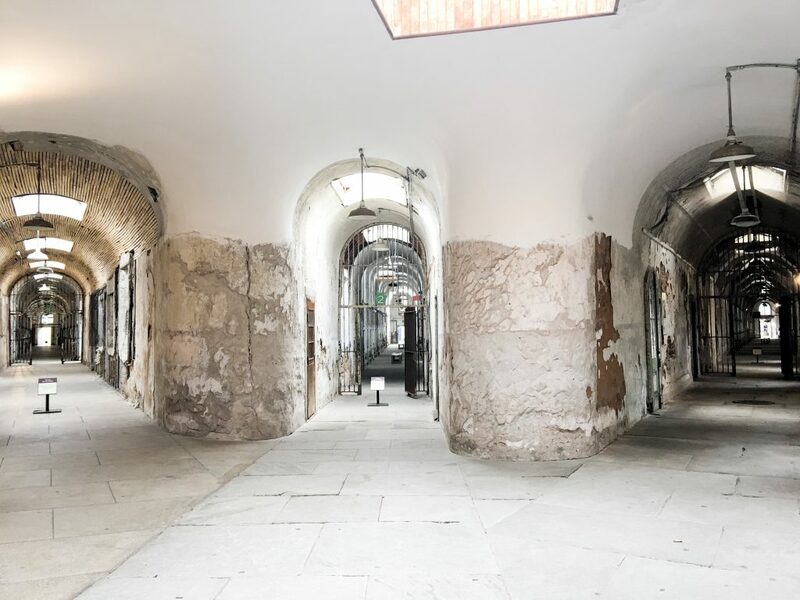 It was impossible for prisoners to communicate with one another as each cell had a small metal door covered by a heavy wooden door serving as cell entrance. The heavy door was meant to filter out noise. Walking the halls of each cellblock gives you the feeling that you’re walking inside a church. Basically, ESP was goth-like on the outside and gave church feels inside, a seemingly odd and striking combination, indeed. Apparently, ESP was designed to strike fear into the hearts of prisoners (or probably anyone thinking of committing a heinous crime, for that matter) by giving them a completely solitary, isolated experience. There are talks that more than 300 prisons took ESP’s cue and copied the design and system of the prison; that is, using prison as a place of reform rather than punishment. The solitary confinement and utter isolation for the prisoners gave each one a chance to reflect and “become genuinely penitent” or remorseful of their wrongdoing. Hence, the term ‘penitentiary’. I also learned from the tour that whenever a prisoner left his cell, a guard would wrap a hood over his head not only to prevent the prisoner from getting distracted but also to prevent him from taking stock of the ins and outs of the building or interacting with the guards. Each cell came with its own private exercise yard enclosed by high walls 10 feet tall to prevent prisoners from communicating with each other. Still, they were allowed to keep pets or do some gardening in the yards. 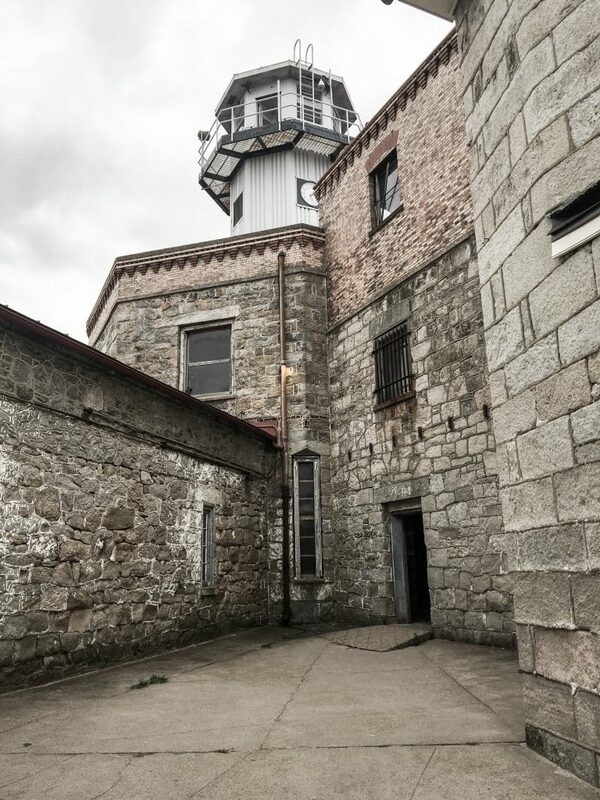 The cells were likewise centrally heated and equipped with a skylight, running water, and a toilet with flush! Apparently, Al Capone was one of the more notable inmates of ESP. 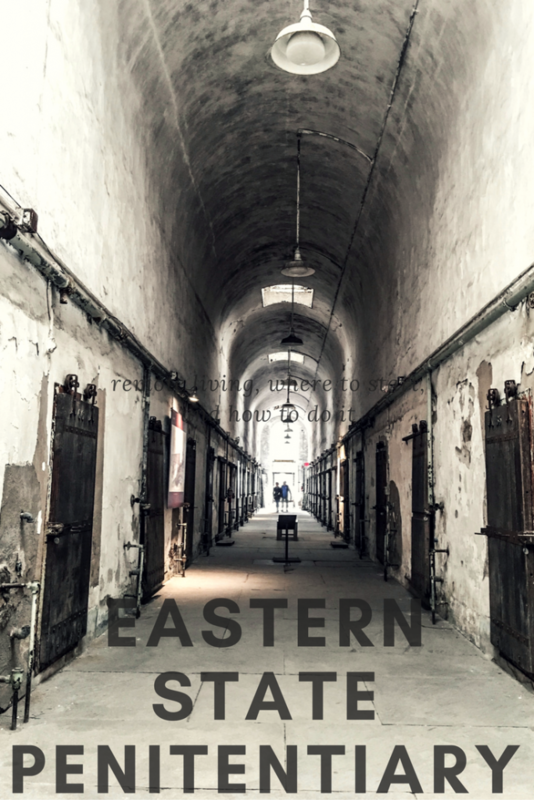 ESP features two types of tours – Daytime Prison Tours and Terror behind the Walls (Nighttime/Haunted Tours from around 7 p.m. to 12:30 a.m.). I would have loved to try out the haunted tour, but like I’ve said, my trip to ESP was unplanned. However, admission is untimed. 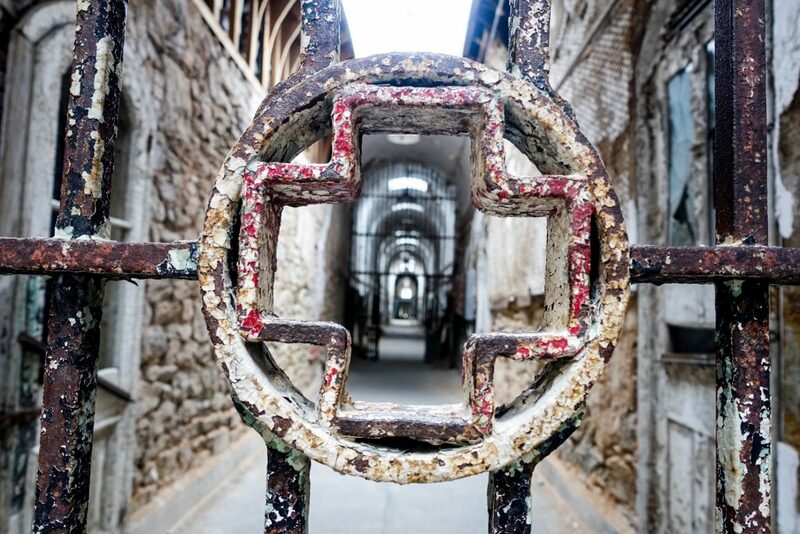 Eastern State Penitentiary is open every day from 10 a.m. to 5 p.m., with last entry granted at 4 p.m. with most visitors allowed to spend about two hours on site. Overall, it was an amazing experience, one that I will gladly do again should time and opportunity permit. Philadelphia is on my bucket list, of course. I need to go to that amazing place. Philadelphia has some great places! That would be fun to explore. Very interesting about covering their heads. Wow, I love history, so I’d enjoy going here. Looks creepy. my sister in law is from there and she said the sights are so beautiful! I am too freaked out by penitentiaries to ever visit one so props to you on that. Also how exciting that you were able to spend so much time here in the states. Creepy looking. I don’t think I have enough courage to tour this place. There must have been so much anguish in there when the place was still in operation. Philadelphia is included in my bucket list and I will try to visit this first. I hope it will be soon! That place looks a great placec and interesting. I have always wanted to visit Eastern State! It is supposed to be one of the most haunted places! Getting the chance to tour places like this is something that I won’t miss even if it’s a little terrifying! I love visiting places that have a long history. This is a tour I would enjoy. I love things like this, they make you feel like you went back in time and are there experiencing everything.